BC Magic Wallpaper was started in 2013. 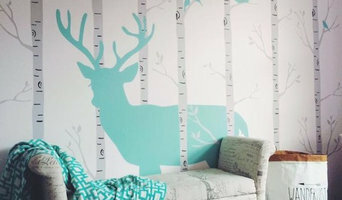 We offer custom- made self adhesive, removable and reposition-able fabric wallpaper. We have a great range of patterns. All of our wallpaper patterns can be made in custom colour ways as the wallpaper is made to order. We can change both the background colour and pattern colour which means you can get the look and feel of a traditional wallpaper without the fuss! No water, paste, or tradesman required. We ship internationally! Contact us today to talk about your ideas. 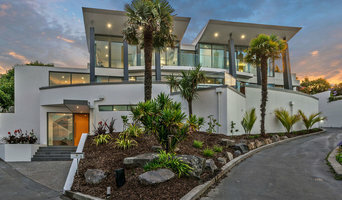 Welcome to 2G Interiors - Interior/Exterior Painters & Decorators Christchurch We are committed to achieving quality outcomes for our residential and commercial customers. 2G Interiors have experienced and qualified crews of painters and plasterers that never compromise on any aspect of the work. Many of our clients come from word of mouth referral with repeat business. Our aim is to be Christchurch's best locally owned and operated painting and decorating company. 2G Interiors is proudly part of the Master Painters Association. 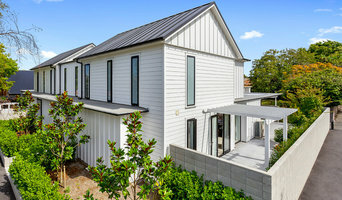 Our wide range of services include: PAINTING & DECORATING Interior Painting & Decorating Exterior Painting Commercial & Industrial Painting Residential Painting Architectural Homes EQC Insurance Opt Outs Home Renovations Office Space Fit Outs Wallpaper Hanging PLASTERING Interior GIB Stopping Exterior Plastering Supply-Fix-Stop GIB Cove Interior Level 4 & 5 Finishes Commercial Fit Outs EQC Insurance Opt Outs Home Renovations Interior Wall & Ceiling Coverings Whether it's a small residential project or a major commercial project we guarantee and stand behind all our trade-qualified staffs workmanship. To find out more about the services, please visit our website or give us a call today. Daniel Cattle Decorators specialise in achieving a premium finish of residential homes, as well as undertaking a variety of light commercial painting jobs. Our primary focus is on providing our clients with complete piece of mind and satisfaction, from our initial consultation through to the finished product. Our success is based on our experienced and qualified painters, a passion for our trade, an eye for detail and our rigorous quality control. DCD is the name you can trust for all your home painting and commercial painting requirements and rather than just taking our word for it we offer you a 5 year master painter’s guarantee on all workmanship. New Image Painting & Decorators has been built solely on recommendations and repeat business over an 18 year period. We take pride in offering superior quality workmanship using the latest paint systems, producing the highest quality finishes. We specialise in the application of environmentally friendly products. Precise Decorators. Painting with a difference quotes within 48 hours. Once upon a time all paint was made from natural ingredients… At The Natural Paint Company … ours still is. The Natural Paint Company brings you naturally beautiful finishes for use in and around your home and living environment. Combining ingredients which are natural and pure, we offer well-performing, honest, well-manufactured, quality products which are safer to use and environmentally responsible. Each ingredient in our products has an important role to play and is carefully chosen – otherwise it wouldn’t be there. Ingredients are selected because they perform well, and because they offer ecologically and socially responsible solutions. We use “nature’s gentle chemistry” to make our products simple mixtures of raw materials. We avoid all processes that manufacture artificial products like plastics which can’t be returned to nature’s natural cycle. Providing and developing finishes in New Zealand for over 20 years, we care about what we do, how we do it and who we do it for. We are taking our old recipes forward. 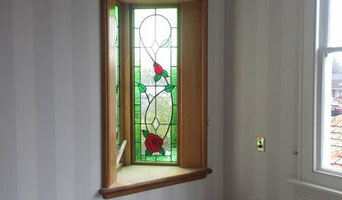 Straighten Up Panel & Paint is a 25 years old Christchurch based companey. We pride ourself in superior collision repairs and panel beating and are renowned for excellence in service and workmanship. Our latest technology and techniques, providing our clients with the best possible service. If painting your walls or installing wallpaper aren’t your favourite jobs, it’s very well worth considering hiring a professional for it. Not just for the obvious time-saving, but there’s actually more to a good paint or wallpaper job that you might think! Whether you’re looking to paint your bedroom or living room, you’re always starting from the all-encompassing question of which colour to paint your walls or which wallpaper to choose. The next challenge is selecting the best product for your needs. And don’t even mention the work involved in preparing the wall and applying the paint so it lasts. If you’re looking for a professional house painter or wallpaper installer in Christchurch, Canterbury, New Zealand you’ve come to the right place. You’re sure to find the best painter for your job in the Houzz professional directory. Here on Houzz, you’ll also find Christchurch, Canterbury, New Zealand professionals who can create a more creative wall design for your home, including wall murals or custom wallpaper. Murals drawn by an artist will often require a large space, but it’s worth investigating if you’d like a one-off feature wall every visitor will remember. If you’re after advice rather than application, here you’ll also find colour specialists that can help you in your quest for choosing the right paint colours or wallpapers for your abode. Scroll through this page to find painters and wallpaper installers in Christchurch, Canterbury, New Zealand. You can browse their latest projects, read reviews to see how other homeowners rate their work, and message them directly.